Love these books, completely hooked! The characters are rich and realistic and although the action can sometimes be far fetched - a la James Bond - that just adds to the story. Brilliantly narrated, accents are superb, this just tops the first one. Roll on The Driver! What did you like most about The Cleaner? I was surprised at how good it was! I had ran out of credits so downloaded it as a freebie. All started off well, James Bond type character, an assannation. Then he went all soft and decided he didn't want to be a bad boy any more, concentrating his efforts on being a do-gooder. That's when I started to groan but I persevered and it really came alive. I liked the character as well as the side characters and they all added to what turned out to be an excellent take on good over bad. Looking forward to the sequel now! What was one of the most memorable moments of The Cleaner? The characters by far; well thought out and crucial to keeping the book together. At first I thought they may sound a little cliched but you can tell that it has been well researched and that certain areas of London are clearly troubled with disillusioned youth. A reflection on how our society has turned I guess. No spoilers, but the part where the bad guy was finally taken down. Not really. It was just interesting. 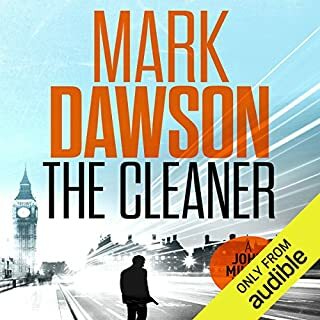 Thank you Audible and the author for making this book a free download and for introducing me to a new and creditable author. Also to the narrator who has the best Afro-Caribbean accent this side of Jamaica! First time I've listened to one of his books and have to say, it didn't disappoint. I found it gripping, from the storyline to the sinister character and the Marnie's mystical background. Should be a film! Definitely reading more of his books, too stuff. Struggling to decide if I enjoyed this or not - one of those books that jumps around and never quite stays in motion. It all started off well; man wakes up with horns on his head, realises that when people interact with him they say or do the most horrible things and then the true story is laid out. That's when it loses momentum for me and despite the tragedy of what happened, I struggled to feel empathy for neither him or his brother Terry. 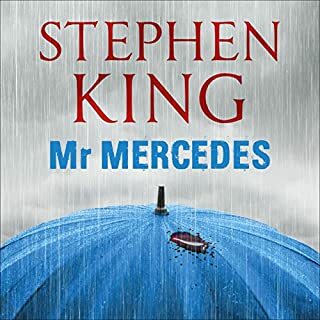 It staggered to an unusual ending and unlike his father Mr King (who I adore), I felt his writing lacklustre if I'm going to unfairly compare. 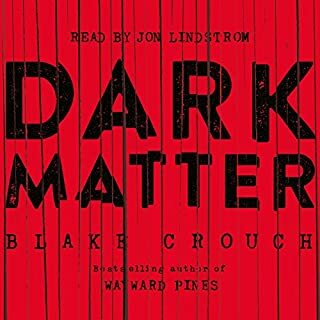 If you’ve listened to books by Joe Hill before, how does this one compare? Really good, couldn't fault him at all. 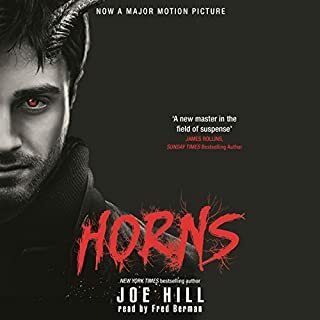 Do you think Horns needs a follow-up book? Why or why not? Bit of a rollercoaster for me - brilliant start to the story, the kind that gets you completely gripped. 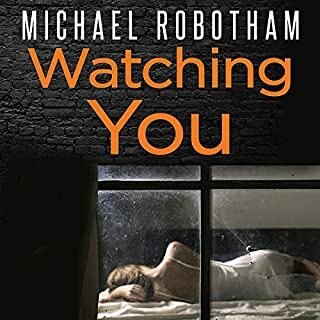 Once the sci-fi takes over it can confuse your brain if you are a bit daft like me but after a few weird chapters it settles back down and becomes a thriller again. Not the 5 stars I'd hoped for after reading reviews but a cracker nonetheless. Wayward Pines a far better story for me. 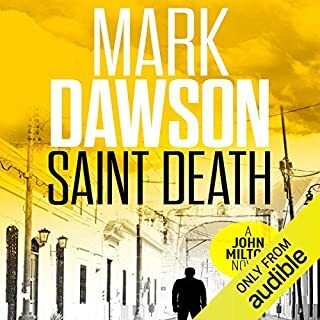 The most addictive audio book I've ever read by far and superbly narrated. Any excuse to go for long walks on a daily basis so I could get through this! Can't wait for Finders Keepers now.